With this being the largest of New Hollands discontinued LX Skid Steer Line, they are large, powerful and hardworking machines. Monster Tires knows when working with these big machines its important to do whatever you can to keep these machines working hard for you. 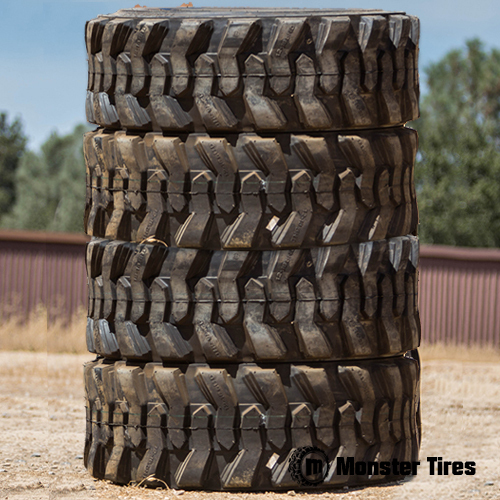 Monster Tires makes it easy to replace your skid steer tires by offering them cheap enough that you can keep an extra set on hand. Contact Monster Tires to replace your New Holland LX865 Skid Steer Tires, New Holland LX885 Skid Steer Tires, and New Holland LX985 Skid Steer Tires.